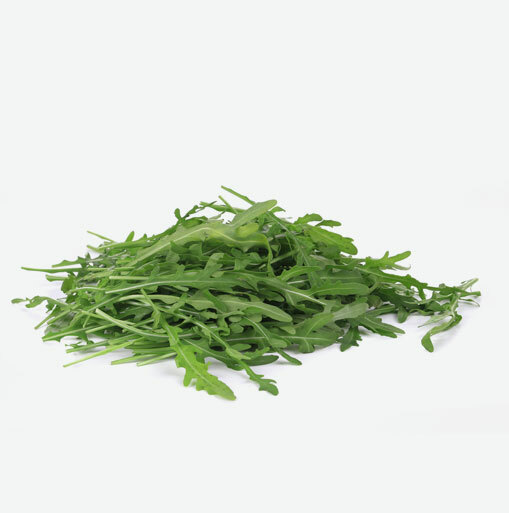 Arugula has dark leaves and a peppery flavour that can add pizzazz to many dishes. Ancient Romans and Egyptians valued arugula because they believed it to be an aphrodisiac. Arugula is also known as rocket, roquette, rugula, and rucola. This salad green is extremely popular in Italian cuisine. While its leaves are traditionally used in cooking, arugula seeds are used to make a strong mustard, and even its flowers are edible and can be added to salads as a garnish. Arugula is an excellent source of folate, vitamin A, vitamin C and vitamin K. Just three cups of arugula (easily added into a salad) delivers a rich serving of calcium, magnesium and manganese. The calcium in arugula is more available to the body because it is low in oxalates; oxalates can interfere with the absorption of calcium. Bone up with greens and enjoy some fresh arugula. Arugula is highly perishable and does not keep well, even when refrigerated. Use it the day it is purchased. If you are storing it in the refrigerator, wrap a damp paper towel around the roots and place the vegetable in a perforated plastic bag; it will keep for two days. Arugula can also be kept standing up in a glass of water (like flowers)—be sure to change the water daily. Fresh arugula will be tender, with bright green leaves that are deeply indented. Avoid limp, yellowing, or spotted leaves. To prepare arugula, trim off the roots and any fibrous stems. Wash the leaves thoroughly since they contain a lot of sand and soil. Place the arugula in a large bowl of cold water and allow the soil and sand to settle at the bottom of the bowl. Repeat this several times, until the water is clear. Arugula is delicious when added to salads and sandwiches. It can also be cooked; it makes a great addition to soups, pastas and sauces, and even as a topping on pizza (add it late in the cooking so the leaves don’t wilt). Arugula can be prepared and eaten like spinach, although its texture is more fibrous and it has a stronger flavour than spinach.